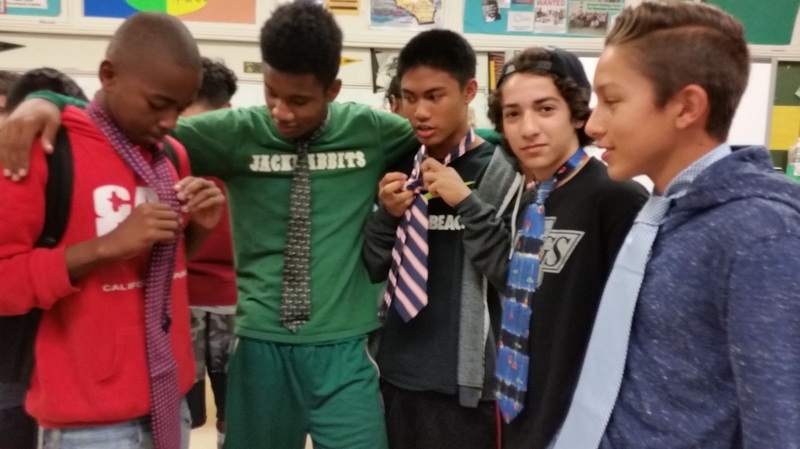 Benefit Students: Power Partners USA members have the platform to mentor the students on how the neckwear is a symbolic “tie” to the end result of graduation, a job interview, client meeting and/or meeting a company dress code. 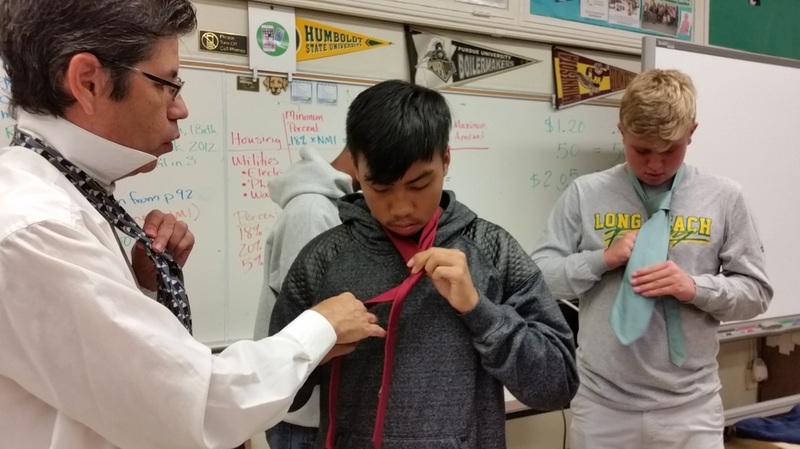 Students receive a functional part of their wardrobe with a lesson and meaning behind the gift. Young men learn the importance of goal setting, looking professional and being prepared. 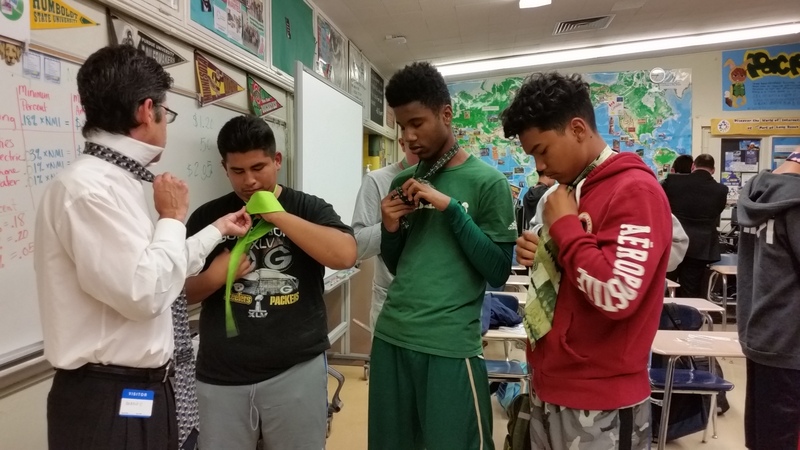 Mentoring: Contribute by offering mentoring and advice to the young men receiving the ties. Associated Giveaways – We can distribute any giveaways you want to contribute during our necktie giveaway, necktie lesson and mentoring session. Thank you for your consideration. Your sponsorship goes toward the cost and work effort of bringing this project together for benefit of the students. ​We are requesting neckties in good condition, no stains or smoke odor and previously worn by a successful professional. Contact: Alan Armijo 562-843-7801 or info@powerpartners.us for questions or address where to send your neckties. Neck Tie Drop Off Locations - The following businesses have been kind of enough to accept tie donations. Stop in and say "Say Tie"